I dreamed of finely-detailed hair accessories, twinkling with jewels and tangled stems, for both wild bohemian fairies and frosty ice queens. Most of all, of seeing beautiful women everywhere dancing with flowers in their hair! 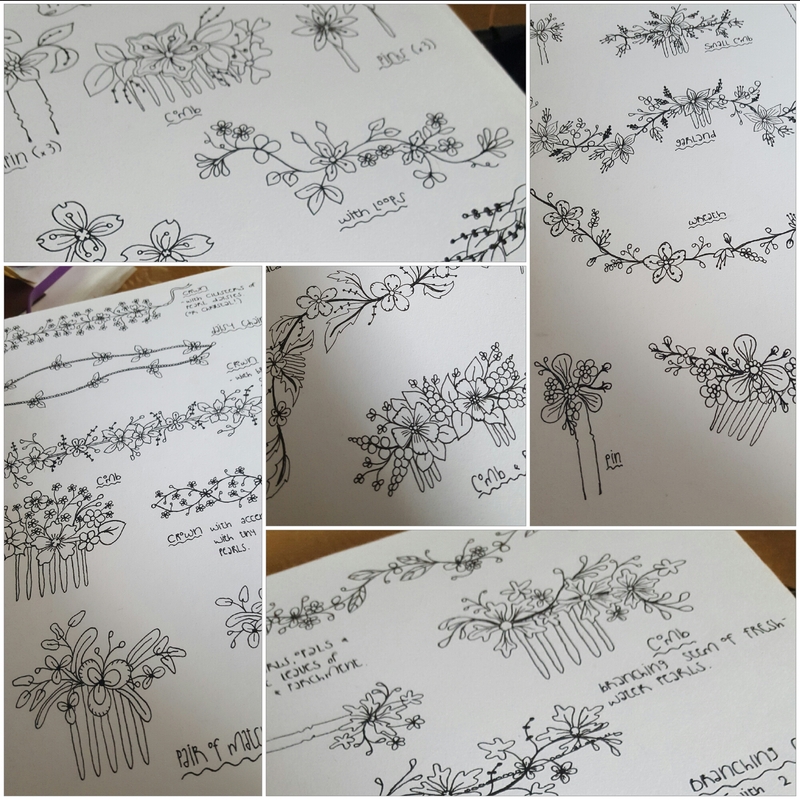 So here is a sneaky peak, between the pages of my sketch book, at a few of the new Frost designs. I am very much looking forward to sharing the finished pieces with you . Enjoy!